LaserWorld Guest Editorial, 4 1999. LaserWorld Guest Editorial, 5 1999. LaserWorld Guest Editorial, 6 1999. LaserWorld Guest Editorial, 7 1999. Chronic Rheumatoid Arthritis is commonly called Rheumatism. Most of patients are middle-aged women but young women and men are not immune to this desease. The cause of this illness is not elucidated at present. However, the most likely theory is that the immune disorder caused by outside influences starts Rheumatoid Arthritis of a patient. The stressful stimuli or the hormone imbalance is also considered to be one of causes of the illness. Rheumatoid Arthritis causes inflamation mainly at joints of body and gradually destroy them. As symtomps of this illness, the morning stiffness of joints, pains at joints and sometime small balls like beans are found at elbows and knees of patients. Joints of patients are deformed gradually. The low power laser irradiation is very effective to the treatment of Chronic Rheumatoid Arthritis. It can restraint the progress of the illness and also mitigates inflamation, pains or stiffness. The mechanism of treatment is considered to be the anti-inflamation effect of low power laser and the improvement of immunity by low power laser. The improvement of blood circulation before and after the irradiation of low power laser is clearly confirmed by thermography. If the stage of Rheumatism of a patient is before‡U, +value of a Rheumatism test can be expected to improve to} or - after the repetition of low power laser irradiation. The earlier treatment seems to bring about the better result. The method of laser irradiation in our clinic is as follows. Accordint to our experience, above said mild laser of 10mW compared with strong lasers such as 60 or 100mW is said to be much more suitable for the treatment of Rheumatism patients. As Rheumatism patients are very sensitive to any stimulations, a stronger laser is feared to cause negative results such as the increase of pains etc..
Another important factor to overcome this illness is the mental strength of patients. Patience is required in order to continue the laser therapy. We would like to introduce a voice of patient who recovered from Rheumatism by the help of laser therapy in our clinic. My Rheuatism started 4 years ago and my face was deformed as to look like the moon while taking medicines prescribed by a hospital. Not only the moon face, my internal organs were also damaged and I was mentally deranged. After looking for beter treatments, one of my friends introduced me the low power laser therapy. After the treatment of one month, the pain of my ankle disappeared and the moon face was recovered after 2 monts irradiation of low power laser. My husband delighted very much saying I was restored to life by the help of the laser light. The current assessment and treatment used at Mitcham Rehab Clinic and The Lymphoedema Assessment Clinic at Flinders Surgical Oncology Clinic at Flinders Medical Centre is a full assessment of external measurements, volume and circumference at 200 positions using the Perometer. The resistancce of the tissues to compression is measured by the tonometer. Bioimpedence shows the fat, fluid (intra and extracellular) and fibre in the tissues. Measurements are taken on both arms or both legs. Subjective information on heaviness, cramps, pins and needles and range of movement are all recorded. Laser therapy then targets the areas of blockage or fibrosis starting over the chest wall and axilla and moving distally in the arm or, for the leg, lymphoedema abdominal scars and the inguinal region are treated first and then progress distally. Fifty minutes of scanning laser precedes an hour of Complex Physical Therapy - massage. The laser used is a Space M3 with an output of 9 mW He Ne at 832.8 nm and peak power of 4 x 27mW GaAs at 904 nm scanning laser which covers an area of 20 x 30 cm. The energy density was 2-4 J per cm2. Most of the patients with lymphoedema feel the effect of the laser at the time of treatment - what they feel is pulsing in the limb distal to where the laser is shining. Several people with whole body primary lymphoedema can feel pulsing in their face or arms while the laser is on their leg, proving the generallized stimulating effect on the whole lymphatic system in an under active lymphatic system. Lymphoedema patients tend to get skin infections like cellulitis which often requires hospitalization, but following laser and massage their tissues become healthier (less fibre and fluid) and their rate of infection drops dramatically. A few people - about 7 out of over 700 treated with laser for lymphoedema have suffered a reaction - overdose. They all describe themselves are sensitive and cannot take drugs, even non prescription drugs. Several had drastic reactions to Radiotherapy. The reaction these people have had is feeling very tired and sleepy for 24 hours after the laser. On subsequent treatments the laser power level has been reduced considerably and they get a normal treatment effect with no sleepiness. Could this effect be from stimulating light sensitive areas that regulate the body's clock as described in Newscientist?(5). An exciting reaction we found when a 43 year old woman who developed lymphoedema of the face neck and left arm following surgery and 2 courses of radiotherapy for cancer of the thyroid 9 years before (6). Her vocal cords were badly affected by the radiotherapy and for 9 years she could not talk but only whisper. She could not use the phone and working at a whisper was tiring and difficult. After the first treatment of laser to her neck she could talk!! After 10 treatments she could start speech therapy and sing a little. She now speaks normally and her lymphoedema has reduced considerably. The possibility of reducing the patients' pain and anxiety through low level laser applications has been the main objective of my research within laser therapy. This Editorial deals with the low level laser as an indispensable and irreplaceable tool for the dentist nowadays in the dental office, focusing on an innovative operator modality: its preventive performance. Clinically, the use of low level laser therapy has demonstrated excellent results. In terms of tissue healing, largely discussed, it shows evidence of the acceleration process in up to three times, mainly for those patients with physiological disturbances,. This may be considered as an indispensable and preventive procedure. Furthermore, the patient's temporary dysfunction, provoked by a wound, being surgically or not, is reduced. This fact causes a comfort that can be achieved only by low level laser. My double-blinded study compared a group without laser and with systemic analgesic medication with two other groups with laser: one group with laser only after the surgical procedure and the other with laser therapy before and after the surgery. This study clarified that 790 nm laser therapy with a dose of 1,5 J/cm2 was as effective with regards to the analgesic and anti-inflammatory effect as conventional medication, both for the pain and oedema control. To accomplish the present study, 45 clinical situations were selected during the Graduation Course of in Implant and Prosthesis of 3i Implants Innovations, Inc., in Ribeirão Preto, São Paulo, Brazil. The selection approach was just constituted in writing in the consent on the part of the patient taking the responsibility in coming back for the follow up care, and also in executing the rules imposed by the methodology of the research. To all the patients it was instituted a systemic medication of preventive anti-bioticotherapy was instituted and also continued after the surgical procedure for 6 days to the base of penicillin, and for the allergic ones, to the clindamicin base. The piece of equipment of low powered laser chosen was a semiconductor diode of GaAlAs (galium, aluminum and arsenium), that emits in the infra-red close with wavelength of 790 nm and pick power of 30 mW. The emission type is continuous and the application form should be accomplished contacting the gingival tissue; the area of the active point of the crystal of quartz is of 0.13 cm2 (Compact Laser, J. Morita Co., Japan). Group I: Control, the laser application was simulated, without working the "start", just leaving a "bip" ring. All the patients from that group received that simulation during one minute scanning the operated area. Those patient were well informed with the analgesic and anti-inflammatory systemic medication to the piroxican base (Cicladol 20 mg) twice a day in the postoperative for a period of three days. Group II: Lasertherapy sessions in the postoperative immediate, of 24 hs and of 48 hs. It was not instituted the analgesic and anti-inflammatory systemic medication. Group III: Lasertherapy sessions in the pre-operative of -48 hs, -24 hs and minutes before the surgical intervention and also in the postoperative in the same way that in the Group II. The patients were equally well educated and have not taken the analgesic and anti-inflammatory systemic medication. The Group III was elaborated based in NICCOLI FILHO's studies (1995) that used the low power of density laser radiation with prevention. All the applications were accomplished using the same energy parameters and for the same operator and the way of the application was accomplished sweeping the whole area of the tissue to be irradiated, which should be dry preferentially to allow the minimum reflection of the light for the energy not to be lost and absorbed by the tissue. The point of the equipment that contacted the tissue was involved with plastic by hygiene measure and of infection control (in the same way as it is made clinically) which promotes the loss of 10% of energy, that however is not important. The time of each application was calculated in agreement with the formula of density power ( or intensity). The area of each clinical situation had been calculated associating the clinical exam to the radiographic, determining the same for the probable operative field that would be explored. The chosen energy was based on the studies of Kubasova that says the energy of 0.5 to 5.0 J/cm2 is enough for obtaining of the analgesia effects and of bioestimulation effects. Being like this, the chosen energy density was of 1.5 J/cm2. The measures, with relationship to the pain and the edema, were accomplished in the immediate postoperative and in the postoperative of 72 hours, always for the same examiner. The examiner asked the patient previously to the laser application what the pain degree was in that moment considering the values of the table 1. with relationship to the edema analysis, the examiner checked the value to each case, according to the table 2. 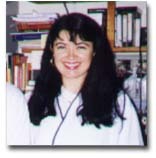 When we irradiated the area to be operated, like suggested by Niccoli Filho (1995), we believed that we were "preparing" the cells, mainly for the chemical mediators liberation, especially for the histamine, which acts by increasing the vascular permeability. According to Ovsiannikov, this procedure stimulates the immune system. Mikailov and Denisov compared three groups of 112 patients with stages IV of stomach cancer; 32 patients received LLLT before surgery, 38 received it after surgery, and 29 patients did not receive LLLT at all. The laser therapy before the operation was slightly more effective. LLLT increased T-active rosette cells and T-helpers, and decreased T-suppressor cells. The life span of the LLLT patients, as compared to the control group increased by a factor of 2 if surgery was performed and by a factor of 3 if surgery was not performed. The statistical analysis was just accomplished to check the clearly observed clinical discoveries scientifically. The non-parametric Test of Wilcoxon which compares equal of samples, and with significance degree at level of 5.0% (Tab. 3) was chosen. With relationship to the painful sensitivity, when we compared GI with GII, and GI with GIII, so much in the immediate postoperative as in the postoperative of 72 hours, we observed there were not significant statistical differences. Even so, in the immediate postoperative, GIII shows a tendency in being significant, suggesting a superior behavior to GII. With relationship to the edematous formation, we compared GI with GIII, so much in the immediate postoperative as in the postoperative of 72 hours, we didn't observe significant statistical difference; differently to what we compared, in that situation, GI with GII, where a great tendency to the significance happens. 3 - for tumor formation control, lasertherapy sessions in the postoperative were enough, as executed in GII. Cells with acid pH are more susceptible to light. Furthermore, the possible mechanism at a cellular level probably is depending on the monochromatic carachter of the light, which the organisms are not adapted to evolutionwise. Thus, laser light is one of the environment factors (external agents) capable of modifying the cellular proliferation. The stimulus or inhibition caused by the light may be regarded as a sensorial answer to accommodate to the environmental conditions. So the question is: why don't we prepare the target tissue through low level laser irradiation as a preventive procedure prior to the trauma? KARU, T. I. Photobiological fundamentals of low-power laser therapy". Journal of Quantum Eletronics, v. QE-23, 10, October, 1987. KARU, T. I. Molecular mechanism of the therapeutic effect of low-intensity laser radiation. Lasers in the Life Sciences; 2(1): 53-74, 1988. LIZARELLI, R. F. Z.; LAMANO-CARVALHO, T. L.; BRENTEGANI, L. G. Histometrical evaluation of the healing of the dental alveolus in rats after irradiation with a low-powered GaAlAs laser. In: Lasers in Dentistry V, John D. B. Featherstone, Peter Rechmann, D.D.S., Daniel Fried, Editors, Proc SPIE Vol. 3593, p. 49-56, 1999. LIZARELLI, R. F. Z.; CICONELLI, K. P. C.; BRAGA, C. A.; BERRO, R. J. Low-powered laser therapy associated to oral Implantology. in Lasers in Dentistry V, John D. B. Featherstone, Peter Rechmann, D.D.S., Daniel Fried, Editors, Proc SPIE Vol. 3593, p. 69-73, 1999. NAVRATIL, L.; DYLEVSKY, I. Mechanisms of the analgesic effect of therapeutic lasers in vivo. Laser Therapy, 9: 33-40, 1997. NICCOLI FILHO, W. D. Eficácia da radiação de dois diferentes tipos de laser de baixa energia (HeNe e GaAlAs) na prevenção de mucosites orais em pacientes submetidos a transplantes de medula óssea. Tese de Livre Docéncia. São José dos Campos: Faculdade de Odontologia de São José dos Campos UNESP, 1995. 68p. OVSIANNIKOV, V. A. Analysis of the low-energy laser treatment of some cancers and infections diseases. Journal of Clinical Laser Medicine and Surgery, 15(1):39-44, 1997. MIKHAILOV, V. A., DENISOV, I. N. Activation of the immune system by low level laser therapy (LLLT) for treating patients with stomach cancer in advanced form. Laser and Technology;7,(1): 31-44, 1997.